Ever notice that corporate media seems to speak with one voice? On balance – or rather, on lack-of-balance – they do. It is the voice of big business. Vaughn Palmer, with American shale gas boom a major threat to B.C. exports, is the latest columnist lobbing fat pitches into the wheelhouse of natural gas promoters. Given the headline, for a moment I hoped Palmer would note that technology responsible for North America’s gas glut is being applied in Eurasia, meaning growing supply and declining prices there too, something that should be a caution to custodians of BC’s gas resource who are negotiating financial agreements with foreign companies. Not quite. The Explainer had a different purpose. Palmer heard the Throne Speech say that the U.S. gas market “has dried up and is never coming back.” Testing the claim, he asked the Ministry of Natural Gas Development. They told him it was “entirely realistic.” Seeking independent confirmation, Palmer asked the Liberal Minister most responsible for gas, Rich Coleman. …the province realizes hundreds of millions of dollars in royalties in a good year, plus it can count on hundreds of millions more in the sale of leases for future exploration and development. Mind you, had Palmer relied on facts instead of the Liberal spin machine, he might have avoided egregious inaccuracy. The natural gas industry is not a contributor of many hundreds of millions of dollars a year for royalties and hundreds of millions more from rights purchases. Palmer is plain wrong and he should know better since he has access to audited accounts that reveal a different picture. He would be better informed on natural resources if he read the archives of this blog. Net of the increase in unrecorded credits owed producers, gas royalties in fiscal year 2013 were $9 million. The net was $130 million in fiscal year 2014. Additionally, the Ministry of Natural Gas Development has been spending more than $400 million a year promoting and not-regulating the gas industry. Ministry of Energy, Mines and Natural Gas reports reveal that the sale of leases for future exploration and development is not any longer a major contributor to provincial accounts. In the first seven months of the current fiscal year, crown petroleum and natural gas rights tenders brought in a monthly average of less than $12 million, down a third from the previous fiscal year. Additionally, Palmer repeats gas dependent employment claims that are fictions of the BC Liberals, despite reports from BC Stats and Statistics Canada that reveal much lower numbers. Even if the jobs number quoted in the Sun were true, each position would come at a cost to government of more than $60,000 a year. Palmer and others in media, including Globe and Mail columnist Gary Mason, aim to lower expectations created by pre-election lies of the BC Liberals. However, the pro-media scribes go further. They’re now selling the idea that, even if there are no riches to be gained from LNG, the proposed projects must proceed or a huge part of the BC economy will die. The real certainty is that any ride conducted by untrustworthy and incompetent guides is headed for catastrophe. Uncertain gas markets mean price instability. As a result, potential exporters aim to protect their own fortunes from risk. That means guaranteeing little or nothing for the actual commodity, demanding subsidies for capital costs, provision of publicly funded transport infrastructure, relief from import barriers affecting machinery and personnel and exemption from property taxes, carbon levies and local imposts. The objectives are to minimize up-front and fixed costs and to ensure amounts due government are paid through profit sharing, which multinational gas companies will commit to if they can make the calculations. …through the miracle of Hollywood accounting, a studio may fairly claim that a huge hit hasn’t actually turned a profit, lest they be forced to pay the stars, director or writers the percentage of the earnings to which they may be contractually entitled. Only people outside the entertainment business are surprised to learn examples of Hollywood accounting. Despite making over $938 million at the global box office, ‘Harry Potter And The Order Of The Phoenix’ was adjudged to have actually lost $167 million. The third Star Wars movie, Return Of The Jedi, despite earning over half a billion dollars in revenue, is not in profit. Chesapeake Energy, the company that drilled [dairy farmer Don Feusner’s] wells, was withholding almost 90 percent of Feusner’s share of the income to cover unspecified “gathering” expenses and it wasn’t explaining why. It’s complicated. It could be the wellhead. It could be downstream. It’s an intricate and complicated structure of contractual arrangements. You have a resource that is so large that you could supply the North American market for 200-plus years, all your customers, and still have gas left. British Columbia’s natural gas potential exceeds 2,900 trillion cubic feet. 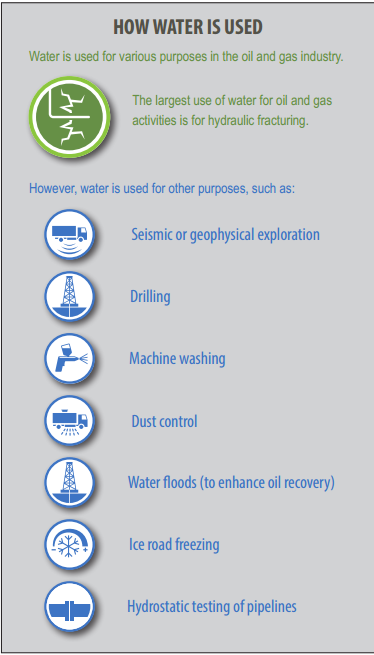 This potential supply could support domestic and international project operations for over 150 years. Potential reserves are no where near what is ever recovered. Not even close. The figure quoted in the press release is 72x the amount of proven reserves. It’s about P1, P2 and P3 reserves. P1 is proven. P2 is proven plus probable and the most likely amount to be actually recovered. P3 is all the stuff that’s under the ground and is a figure everyone in industry knows will never come close to being recovered (you cannot recover 100% of the stuff under the ground, not ever. I believe it inexcusable that political columnists act as uncritical promoters of the fossil fuel industry and apologists for a government that is devious and untrustworthy. Doing so is an abdication of professional obligations. The mainstream media in this province is corrupt, They report what they are told to report. So, where did this 'un-news' about Skytrain come from? The City of Ottawa's transit delegation comparing Vancouver's Skytrain to LRT. The City of Ottawa, with under great pressure form Ottawa to build with Bombardier's and SNC Lavalin's proprietary SkyTrain mini-metro system, chose to build with light rail because it was a far better deal for the taxpayer! Not a mention of this in the MSM, no, not, nada. The same is true with natural gas and the many lies spread by Premier Photo-op and her charlatans, the MSM reporters, like good little puppies, will do as they are told. In BC, we have the best politicians and the best reporters money can buy. Don't hold your breathe for honest reporting because that is not in the lexicon of the mainstream media. Good one Norman. I look forward to Rip VaughnPalmer's explanation. Over to you Rip. Being a so-called journalist you would think Palmer would remember the Liberal government is always overstating and he should rely on other sources as opposed to the multi-million dollar spin machine. Remember when de Jong hired former Band of Montreal economist Tim O'Neill…..who produced the following: ” O'Neill's 22-page report, released a day before de Jong tables the Liberal government's pre-election budget, called for additional prudence for natural-gas revenue projections for this year's budget and for the following two years. “My suggestion was that they reduce the revenue price forecast for natural gas, and as a consequence that would end up lowering the projected revenues from that area,” O'Neill said at a press conference. But we all know if the Liberal government produced facts as opposed to fiction…..maybe…..just maybe some supporters would question them. Great post Norm – the facts sure reveal a reality at odds with Mr Palmer's deflection. We have clear facts, twisted fiction and evil fantasy to consider. When the true facts are readily available it is clear that to obscure the truth Palmer has to go to his select sources to get the money quotes for his fiction. I imagine a direct crude pipeline to Palmer from Coleman and the Liberals that flows freely with fiction not facts to fill and fluff his columns. Palmer is not reporting, he is promoting and has been doing so for many years. The Liberals are in a dark fantasy of their making. Palmer reports their fiction. You Norm continue to report facts. Without ethical reporting we end up with unchecked corruption of government and the mess British Columbia has devolved into – at great cost to BCs future. Couldn't agree more with you, Bill, or you, of course, Norm……..I figure when Yawn Palmer sees this article he may well start ranting in his own underpants…….!!!!!!!! I cancelled my newspapers, during Campbell's reign of terror in BC Gordon Campbell twice lied and cheated to win his elections. So did Christy Clark lie and cheat her election win as well. Christy Clark is merely Harper's mouthpiece. Did not Communist China buy up 800 hectares near Prince Rupert? 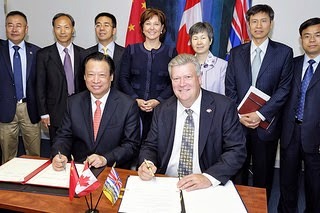 I thought Christy signed a deal, China would build their LNG plant at hat site? Those jobs aren't for the people of BC. We certainly recall the media during our battle against, Campbell's HST scam. Best watched BEFORE turkey dinner — as you'd be sure to lose it: a hard-hitting interview by Pamela Martin, with Christy Clark. Passed on by Alex Tsakumis. A good example of the water-carrier role played by Mr. Palmer and his peers inside and outside the Legislative press gallery was their response to the Auditor General’s report on his audit of special indemnities as it related to the Basi/Virk payoff. The audit essentially concluded that Deputy Finance Minister Graham Whitmarsh had authority to sign the Agreements to Release that wiped out the indemnities containing the liability clauses for $6.2 million in accumulated legal fees. Mr. Palmer and his fellow messengers then openly cheered that as vindication for the government’s actions without the slightest evaluation of the many inconsistencies inherent in the audit report, or the obvious trail establishing an improper inducement. Stating the Deputy had authority to amend the indemnities is the equivalent of saying that the government has authority to issue cheques. Of course it does. It’s what was bought and under what circumstances that is at issue. Because I have authority to sign a cheque on my bank account, does that mean a deal where I buy a pound of heroin is legal because I use a cheque to pay for it? What these characters don’t seem to understand is that amending the indemnities was the method of payment, not the object of the deal. The object of the deal was guilty pleas to end the trial; including silence about the payment that would be made in return. The October 14, 2010 agreement expressly specifies that, and contains all the elements of an inducement. As we know, the BC Liberal controlled Committee charged with accepting the Auditor General’s report and reporting on its content to the Legislature rejected a motion to have former Deputy Attorney General Loukidelis and former Deputy Finance Minister Whitmarsh appear to answer many outstanding questions. This was an eminently reasonable and practical motion given that the BC government has consistently refused requests for information on this matter, both inside and outside the Legislature, by maintaining no elected officials had anything to do with it and that the two former deputies were solely responsible. Has anyone seen an examination of the Committee proceedings from Mr. Palmer or his peers? I’ve given up on these local paragons of journalism and today wrote Mr. Loukidelis, Mr. Whitmarsh, and given Mr. Loukidelis’ current role as chair of Alberta’s Law Enforcement Review Board, the editors of newspapers in Alberta asking that they provide a forum for overdue answers to legitimate questions. Palmer and Baldrey are Liberal stooges that swallowed the bait so deep they are gut-hooked into the lies and deceit of the BC Liberals. They have both become so lazy and inept they can do nothing except belch out Liberal 'fact' sheets and press releases. Once the Liberal go, they will too as they are essentially one and the same. I love the information . But he has put that out in one of our major papers and is all over the radio. But the truth is on a blog that I wish more people would see . Hundreds of thousands vs hundreds or thousands. Do we even stand a chance or is it time to tune out and wait for the implosion. On this blog, we count in the tens of thousands. If each reader shares with friends and family, alternative messages can become mainstream. There is a great book titled “Necessary Illusions” by Noam Chomsky. It was published in1989. Its subtitle is “Thought Control in Democratic Societies.” Here is a paragraph from page 10.
all people have to do is forward the posts they think their friends will like or not like. word does get around.